This intense two-day course is designed to meet the evaluation requirements of the JIBC Firefighter Certification Program Level 1 (and Level 2 for up to 5 students per course) Module #8 practical component. Students engage in a large amount of live fire scenarios in our custom-built burn building as well as our vehicle fire prop, propane tank prop, and dumpster fire prop. The one-day Awareness course focuses on recognition of a hazardous emergency, personnel safety, hazard assessment, and the notification of the emergency response team using safe, practical, defensive actions all of which are critical components required when dealing with a hazardous situation. 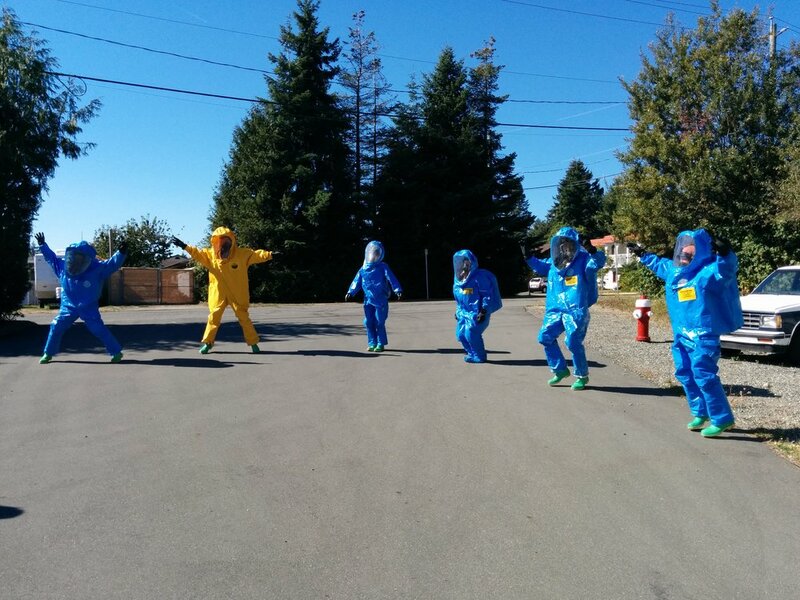 The four-day HAZMAT Operations course is a necessity for employees of industries who manufacture, transport or store chemicals or other hazardous materials as well as fire and police personnel who respond to hazardous materials incidents including spills or drug labs. 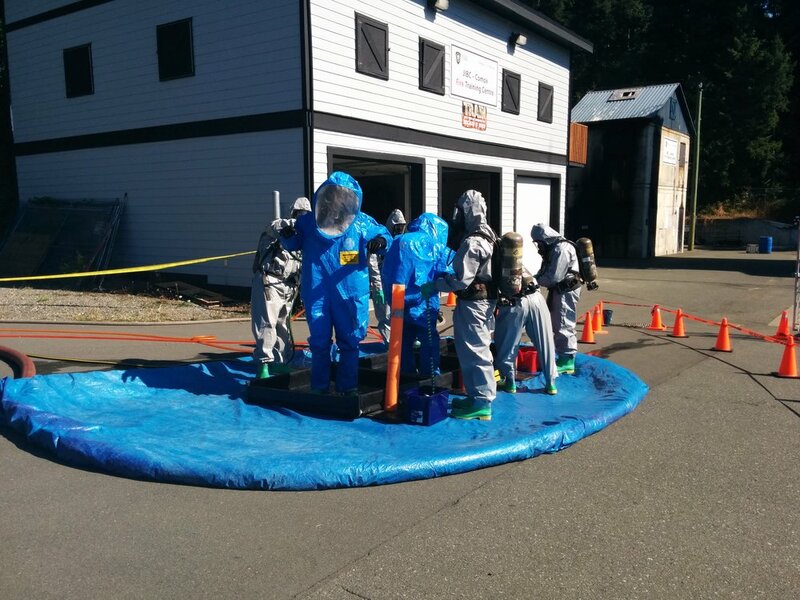 Participants will develop the skills to identify hazardous materials, determine the appropriate safety precautions, apply the principles of the Incident Command System (ICS) and the 8-Step process of managing a Hazmat incident. Through hands on scenarios, students will respond to simulated incidents wearing all required appropriate protective equipment and successfully demonstrate response management and the establishment of decontamination areas and procedures. 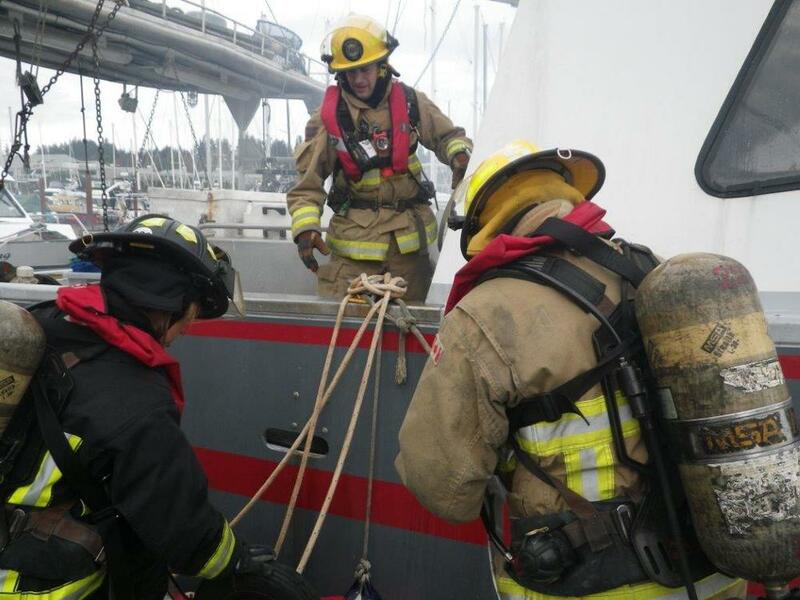 You spend a considerable amount of time training your firefighters to rescue civilians. How much time do you spend training your firefighters to rescue each other or themselves? Finally, a course designed to do just that. This intensive 1-day course focuses on hands-on training and skills development. Learn important skills that can save you and your fellow firefighters if things go bad. The training is designed to be effective using tools and equipment easily carried by your firefighters. This course is a must for new recruits and seasoned firefighters alike. Our excellent facilities and training area allows the delivery of this program using many realistic props and scenarios. On the afternoon of April 8, 2006 a firefighter attending a live fire training exercise at the Comox Fire Training Centre suffered a fatal heart attack as a result of heat stroke and dehydration. He collapsed during a rest break while wearing full PPE and immediately received first aid. He was rushed to the hospital less than a kilometer away where he died. In the past, we treated our firefighters as most other fire departments did; we worked them hard and gave them a water break every once in a while. This unfortunate death changed all that for us. 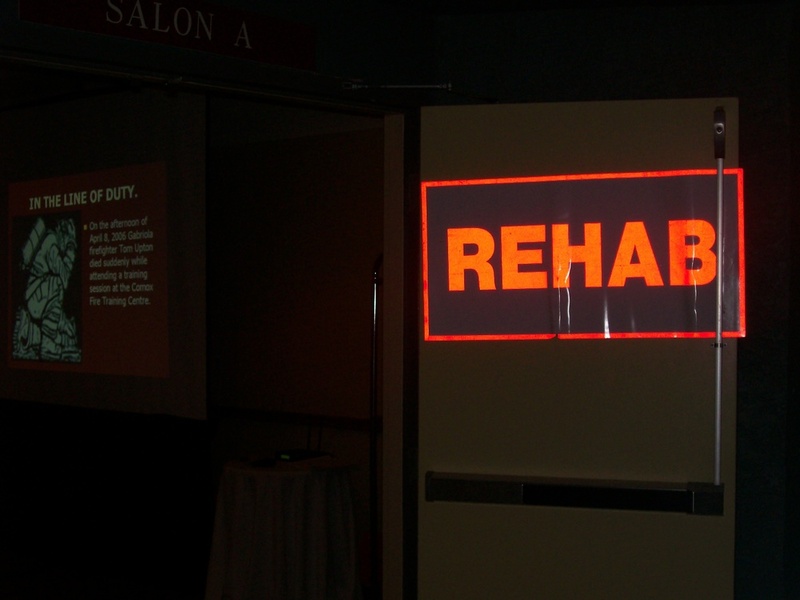 We now have a very formal Firefighter Rehab policy and procedure. You can read more about it here and see the flow chart here. Hey guys, just left for home today after doing live fire at your facility. Awesome experience. Thanks for the wicked weekend. Best time ever!! 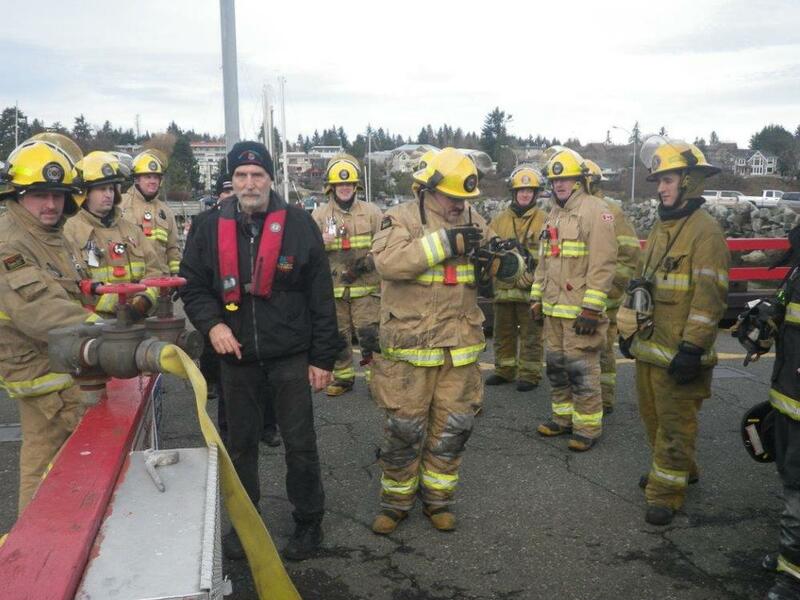 The excellence of the Comox Fire Training programs, and Instructors in my opinion is simply outstanding. In my twenty three years of attending different facilities all over North America the Comox Fire S.T.A.R.T. program, Chief Gord Schreiner, and the Instructors (Rob, Ron, Cory) are a credit to Fire service family. 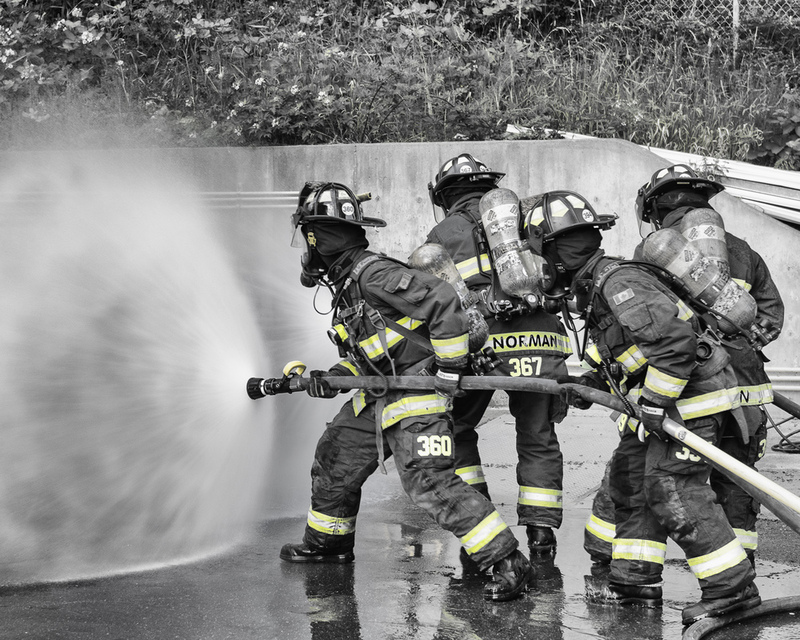 Comox Fire Rescue operates the Comox Fire Training Centre which delivers a variety of fire service training. The Training Centre includes two training towers, a live fire training centre, a cold smoke building, a confined space trainer, several gas props and two classrooms. The design of our training centre allows for a large variety of complex scenarios allowing our firefighters and fire officers to hone their skills. 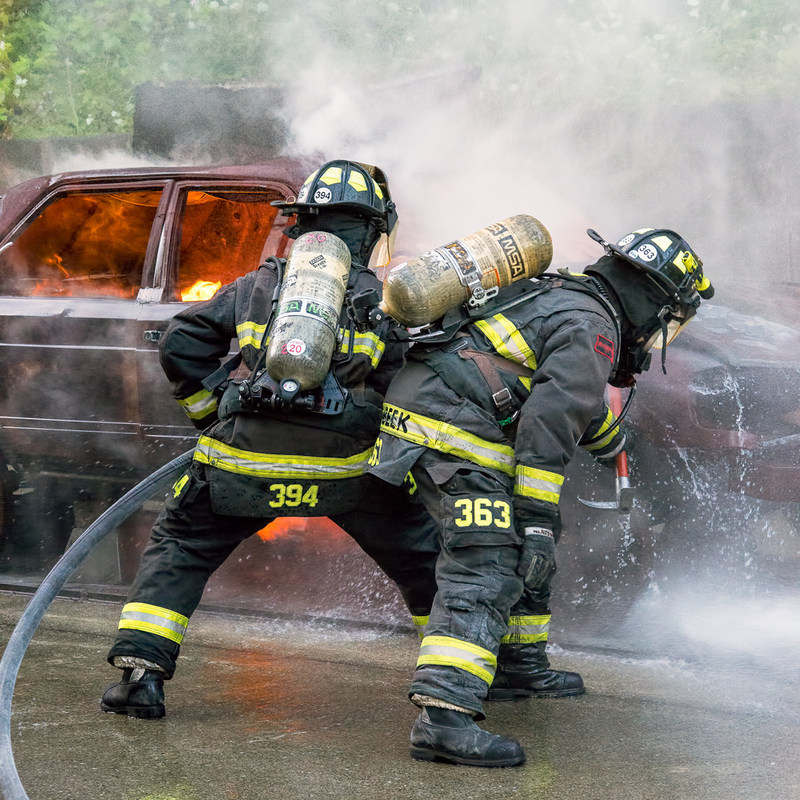 Our extensive training program provides a high density of employee certifications to the National Fire Protection Association Firefighter Level 2 certification as well, Fire Service Instructor, First Responder (with spinal management and AED), Emergency Vehicle Operations and Defensive Driving.